All across the Islington borough, Better facilities are providing free sessions for females aged 16 or over. These activities, ranging from Water Aerobics to Pilates, are part of This Girl Can Islington project. 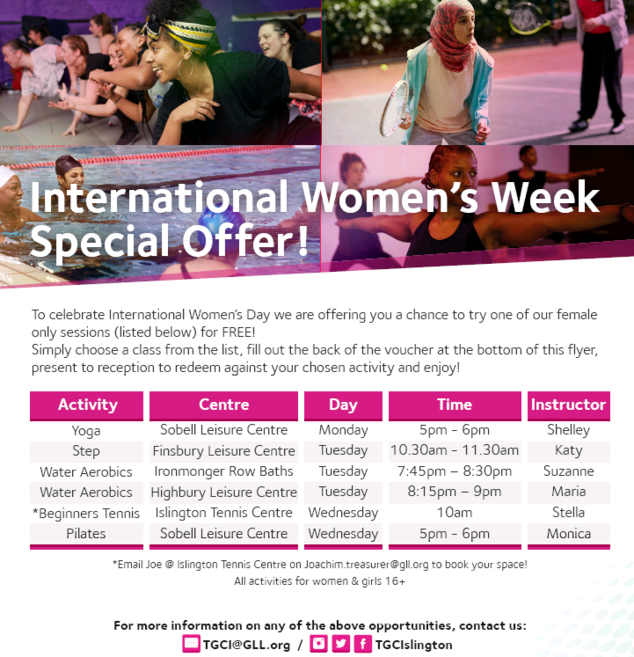 The programme is displayed on the front of the flyer in the attachment at the end of this article so check out which activities or locations suit you. To get a free activity print off the back of the flyer, complete the short form, then bring it with you to the session (leaving plenty of time to get through reception). Alternatively, get a flyer from a Better facility in Islington that is hosting a session and write on the form.